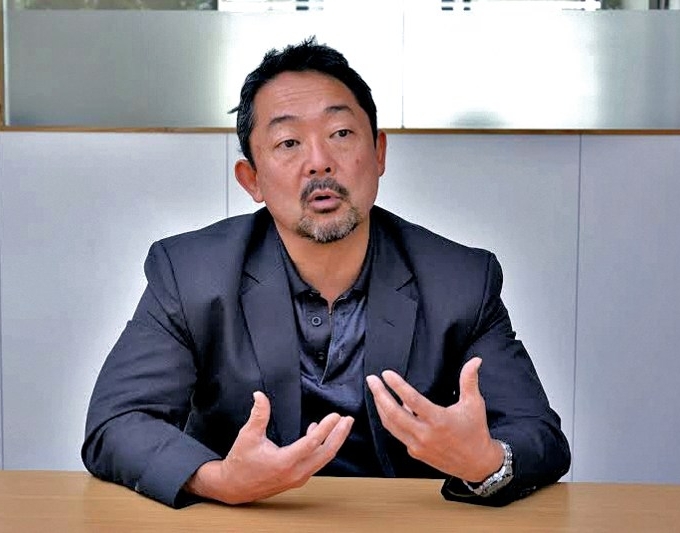 Dr H Kit Miyamoto is a structural engineer and president and CEO of Miyamoto International. With over 30 years of expertise in earthquake structural engineering in various countries across the globe, he has been involved in seismic engineering in Nepal since the April earthquake and even set up the Miyamoto International Nepal office here. He spoke to Terence Lee of the Himalayan Times about the ground realities and the road ahead for Nepal’s reconstruction. What led to the establishment of a permanent Miyamoto office in Nepal? I arrived in Nepal right after the first big earthquake in April. My first mission was to support the government and people of Nepal in damage assessment as I am an earthquake structural engineer and specialized in this kind of work. One thing we saw after coming here was the need and gaps where we could help more. The commercial sector, especially high rise buildings needed to be taken care of. The damaged village schools, houses and other structures needed to be taken care of. There is definitely need for international expertise and there are very good engineers here. I think engineers here have a really fantastic foundation but have never experienced such a disaster ever. Where we come from we go through disaster and reconstruction all the time and so we have learnt what works and what does not. That kind of experience can really help Nepal and that’s why we established Miyamoto International Nepal, which is a local company now. We are staffed by Nepali engineers who we have trained for the last six months and are now among the best engineers globally. So essentially we are now a local company with global expertise. What stands out most when it comes to the destruction in Nepal? Here in Kathmandu most of the damaged buildings were tall. This is because Kathmandu Valley sits on this ancient lake bed with really soft soil. So there was a longer period motion and sway and that damaged the taller buildings more than smaller ones. These buildings cannot be occupied but they did not collapse and so we are engaged with many such apartments like Horizon, to essentially see if we can not only repair, but make them better. I think we can, but we have to use new technology and we have to change and modify. It’s actually very difficult to forecast ground motion because you don’t really look deep into sedimentation and that’s why it’s so difficult for geologists to forecast. However, post-earthquake we now have a very good understanding of what this valley is made of and what could happen here. What kind of potential do you see in Nepal for Miyamoto? Here in Nepal, we can do a lot with the private sector, public sector and international agencies. With the private sector we are engaged with hotels like the Marriot, the Hilton and also Everest Hotel that was damaged. The damaged ones we can definitely repair, retrofit and strengthen to meet international standards. This is all being done by Nepali engineers and local contractors and so this is more cost effective. New hotel constructions like the Hilton definitely care about safety and they are looking for certification to be able to make the public feel secure. What we do is use high performance earthquake engineering to not only build safer and better buildings but also those more cost effective. It has to be affordable and that’s what we do. How much does such features and technology add to the cost of construction? I don’t think it’s much at all and in many cases I think you can actually save money. Putting more concrete or steel does not make it much better. You can make the system more efficient and more resilient by the simple use of devices like dampers and shock absorbing devices. It does not have to be more expensive. Should tall buildings be built in Kathmandu? Today, people in Kathmandu are saying high rise buildings are dangerous. It’s just not true. You can build a 50-storey building today that’s safe with the use of right technology. Take the case of The Horizon. The structural damage is limited. There was no collapse. However, just following the building code is not enough as that is the minimum requirement to prevent a building from collapse. Society expects much more than that. So the way we do things is to make buildings usable and safe in a cost effective manner after such tragedies. What kind of changes would you like to see in our building bylaws? I think the larger buildings in Nepal follow the Indian building codes and the current Indian building codes are also undergoing changes. The bylaws do not capture well the displacement at all and that needs to be addressed. The other thing is that the building code is a really simplified Indian code, but we have to have the option for engineers to use performance-based engineering. This is the use of physics to understand how a building behaves during an earthquake. You can surgically make it better so it does not become just too much steel and concrete, but has better performance. This is widely used in the US and Japan. It can be implemented here and we are actually doing that even as we speak. We are using this technology in many monasteries and heritage buildings here since they are sensitive projects and we cannot change or touch certain things. Again using high performance based engineering you can actually make buildings earthquake resilient after an event. What kind of support are you providing to the government in terms of expertise? We do support the Ministry of Education because thousands of schools have been affected. It is one thing to reconstruct a better school in these areas, but the other thing is that there are a lot more dangerous schools across the country. Again, only 15 per cent of the country was affected by the earthquake and the other 80 per cent was not. There are thousands of schools outside these areas which are disaster-prone and they have to be looked at too in terms of disaster risk reduction and this is something we are talking about with the UN agencies and the government. We also have our own non-profit the Miyamoto Global Disaster Relief for schools. We actually completed our first project in Nepal engineering wise. We used technology and local materials to repair, strengthen and enhance the existing school in a cost effective way. Can your services be availed by smaller business and individual home owners? Most definitely we are here for everyone. What we do is not just for big business houses, corporations or the government. We also provide service for smaller companies and individual homes. Essentially, our philosophy and vision is making the world a safer and better place. We are a business but our mission is important. We cannot just work for rich people and development agencies. We want to work for everybody and we are here to help and we are doing a lot in this area. What kind of urgent need do your see for risk reduction in Nepal? The southern part of Nepal has a huge concentration of industries. While the present fuel crisis is an economic problem, should an earthquake hit the southern part of the country the damage will be huge with no comparison. Business interruption may last years and that will have a huge economic impact. Risk reduction of those industries is very important. Again, everything does not have to be replaced. It is about finding the bad apples and fixing the important or dangerous things. This can make a huge difference if there is a seismic event. Tourism is also an important industry here. I think besides the big hotel projects we are working with, we have to worry about smaller hotels and accommodation. We accessed the Everest and Annapurna route and we found the damage limited. However, a secondary post assessment has to be done because that’s vital for tourism. A version of this article appears in print on December 01, 2015 of The Himalayan Times.